I realize I may stretching the definition of “glamping” here, but anything that involves spending time in the great outdoors and making delicious food constitutes as “glamping” in my book. And one of the best glamping trips in Northern CA doesn’t require an overnight stay: Point Reyes. Point Reyes is home to some of the best Oyster farms in the country, and two of the best are open to the public- Hog Island and Tomales Bay. We visited the latter on a beautiful day, and there is nothing more refreshing than enjoying fresh oysters sitting by the water in the sunshine. 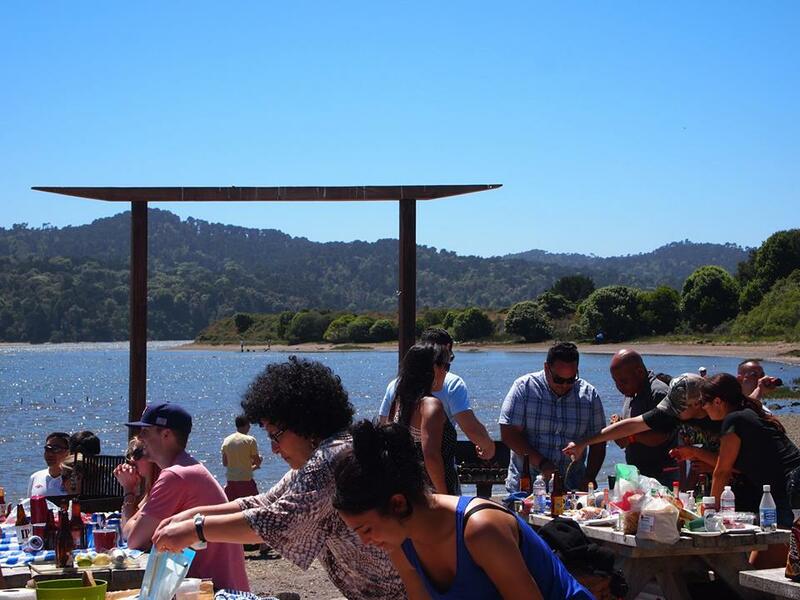 Tomales Bay provides the fresh oysters, shucking knives and gloves (a must) and you provide anything else to enhance the oyster experience (wine, clearly). My favorite way to enjoy fresh oysters is to add some butter, garlic and parmesan cheese to the shell, and then grill. You typically need reservations to secure a grill and picnic table, which I highly suggest. You can order bulk orders of the oysters, so don’t hold back and invite all of your friends.